Like other Internet service providers (ISPs), Comcast has been working hard to prove its support for net neutrality. However, the broadband industry has predominantly sided with the FCC and its Chairman Ajit Pai, whose recent decision seeks to eliminate the hard-won net neutrality protections for Internet users. 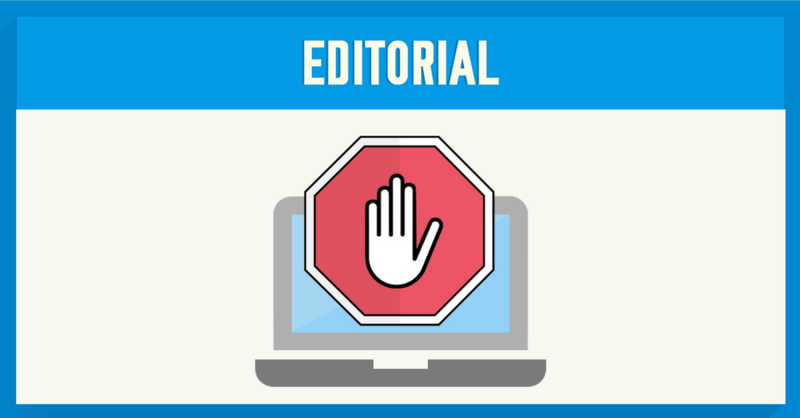 In its latest move, Comcast sent a cease-and-desist order to a website raising awareness about potential abuses of the FCC’s public comment system. After Pai presented his proposal last month, the FCC started accepting public comments on its website. However, hundreds of thousands of the comments left on the site appear to be organized, possibly bot-filed anti-net neutrality posts, fraudulently attributed to real people. The FCC insisted it was attacked by hackers but has not released any evidence to uphold that claim. In response, activists set up Comcastroturf.com – a website for raising awareness about the problem and helping deal with the comments posted under fake names. The site has no ties to Comcast, except for the URL. On May 23, Fight for the Future, the organization behind Comcastroturf.com, reported having received a cease-and-desist order. It came from the monitoring company LookingGlass Cyber Solutions, accusing the advocacy group of violating Comcast’s trademark. According to the order, dated last week, the domain name “is confusingly similar to [Comcast] because it sounds the same, looks the same, and is spelled similarly to Comcast.” The letter also says Comcast is prepared to settle the matter amicably, “without pursuing its claims for damages,” but only on condition that the domain is handed over to Comcast as soon as possible. The company’s spokesperson said that Comcast is simply following the practice of most major brand owners to protect its brand name “from being used improperly on the Internet by third parties.” Company also claims to have sent the letter on May 17, only three days after the domain was registered and before the site actually went live. However, Fight for the Future responded that it does not intend to take down the website, and that its domain name does not violate copyright because the organization does not attempt to impersonate Comcast. Instead, the advocacy group suggests that the broadband industry may be behind the astroturfing effort to flood the FCC with fake comments. The group also points out that back in 2014, right-wing groups linked to the telecom industry were suspected to have submitted suspicious anti-net-neutrality emails to Congress. Comcast has repeatedly declared its support for the Open Internet principles. However, it also insists on Twitter that “Title II ≠ #netneutrality” – a claim that is technically correct but completely misleading. An appellate court has already ruled that the FCC can only impose net neutrality rules with Title II classification for ISPs. Title II provides the legal basis for enforcing the net neutrality protections, and the FCC would not have the authority to do that with the proposed Title I classification. In case there are any remaining doubts about the industry’s position on net neutrality, The Intercept reported on an internal email from GOP leadership coaching House Republicans on how to defend the FCC’s decision. The leaked document seems to have been created by the National Cable and Telecommunications Association – a trade group that lobbies in the interests of Comcast and other cable industry companies. NordVPN remains firmly in the camp of net neutrality supporters. Activities such as content blocking and throttling deny the right to free and open Internet, and we at NordVPN fully support the free flow of information. Our VPN service redirects your Internet traffic through an alternative route, getting round ISPs and avoiding throttling and censorship. This way, you take back the power to control your browsing preferences however you like, without broadband corporations deciding what you should or shouldn’t get access to. If you’re concerned about the threat to net neutrality, call your member of Congress to let them know your opinion and post a comment on the proposal at the FCC. The Electronic Frontier Foundation has a good tool for that, as the regular posting process is quite complicated.